Jetty Extracts, based out of California, produces some damn fine, 100% pure CO2 extracted cannabis oil. Their medical cannabis oil is sold in pre-filled vape cartridges which are labeled and sold as 0.5 g (500 ml) but are actually a bit closer to a full gram, weighing in at about 750 mg.
All Jetty Pure vape cannabis oils are lab tested and designed to vaporize nicely. The Pure vape cartridges provide the cleanest and most convenient way to medicate. The pure CO2 oil contains no glycols or other additives. Terpenes that are typically lost with most extraction methods are added back into Jetty Pure vape oils for great flavor and taste. The oil has great clarity with a viscous consistency. 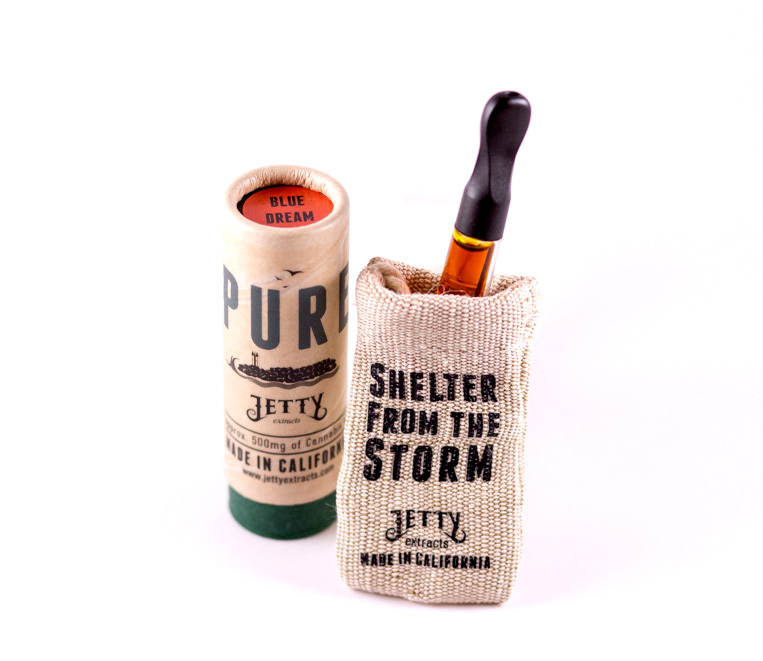 Smooth smoke, great taste and high – can’t go wrong with a Jetty Pure vape cartridge! Jetty Pure vape cartridges are available in a large selection of strains. 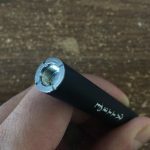 If you like to medicate with high CBD strains, then you are in luck – Jetty recently started producing high concentration blends of CBD oil vape cartridges as well. 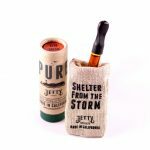 If you are an experienced smoker with a high tolerance, you may be interested in Jetty GOLD Cartridges which is Jetty’s top-tier cannabis oil. The Jetty GOLD cartridges are a bit pricier but have a much higher THC potency hovering around 80% THC. If you’re into dabbing, Jetty also produces high quality CO2 concentrates in either RAW wax or GOLD wax. 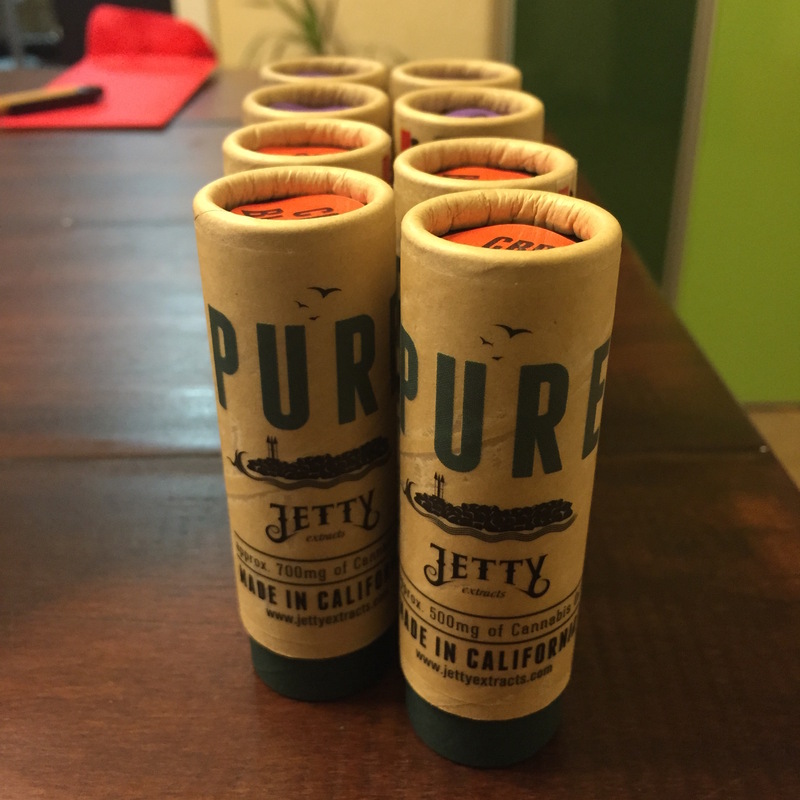 Jetty Pure vape cartridges retail for $35-45 in many dispensaries throughout California. More info available from the manufacturer.